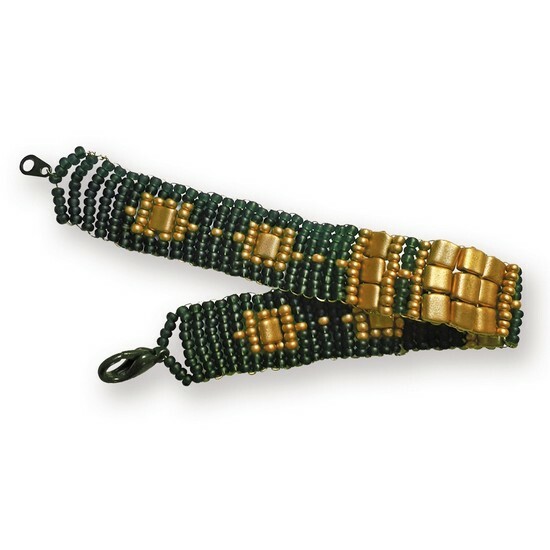 The novelty from Emma's Company - a set for beadwork and create an elegant and original bracelet. The kit contains: • seed beads №10 and square beads Karo Preciosa (Czech Republic), • gold wire 0.2 mm in diameter (1.5 m), • black clasp-"carabine", • instructions how to make a bracelet. © 1992-2019 VDV™. All rights reserved. You are here: ▫ DIY Embroidery Kits DIY Bracelets A set for handmade ornament "Bracelet"